Dr. Schmidt and Dr. Lee provide top-quality, full-service implant dentistry using state-of-the-art technology and minimally invasive procedures. 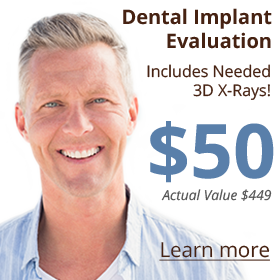 They can provide any dental implant service—in-house, including the fabrication and placing of high-quality replacement teeth that your implants will support. 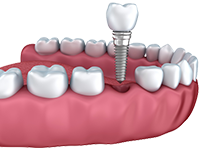 For a single missing or broken-down tooth, our doctors will place a dental implant and top it with a crown. 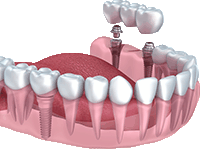 To replace two or more teeth in a row, our doctors will often place implants to support a dental bridge. They can also place a series of implant-supported bridges to replace an entire arch of teeth. 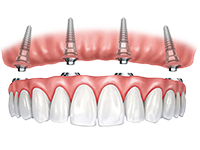 Our doctors will place a series of implants that firmly retain a custom-fabricated new denture in position through the use of special snap-in attachments. Implant-supported removable dentures provide between 50 percent and 75 percent of full chewing power. The dentures can be removed for cleaning or other care at any time. 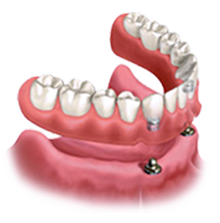 Under certain circumstances, our doctors will fit your existing denture with snap attachments so the denture will fit onto implants. Your denture will function similarly to a new snap-in denture and will have enhanced chewing power. Using as few as four implants per arch for support, our doctors provide full-arch fixed-in new teeth with the New Teeth in One Day procedure. Implant-supported fixed-in new teeth will provide nearly full chewing power and will function very much like real teeth. 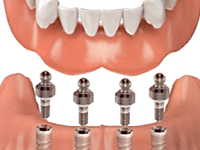 The special angle at which the implants are placed eliminates the need for bone grafting in many cases. The entire procedure, including any necessary extractions, can usually be completed in a single day. 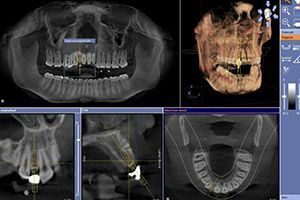 Your entire implant procedure is planned out ahead of time with our 3D software. 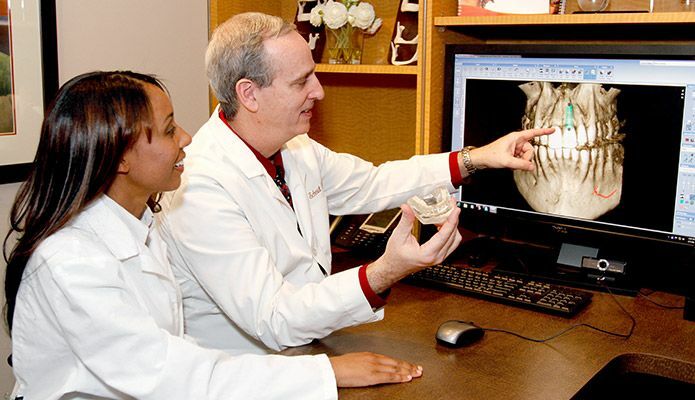 Our doctors use 3D X-rays, computer-guided treatment planning and surgical guides to make your treatment accurate, efficient and minimally invasive. The doctors also use special growth proteins to assist in rapid healing and an electronic meter to accurately determine when an implant is ready to receive a functional replacement tooth. We incorporate the latest in technology to guarantee a comfortable procedure and stable, long-lasting results.